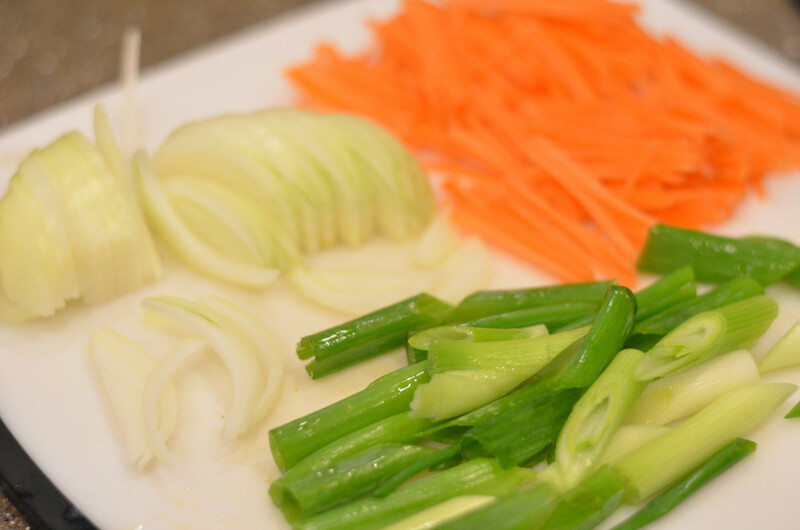 Cut the vegetables into thin slices and set aside. 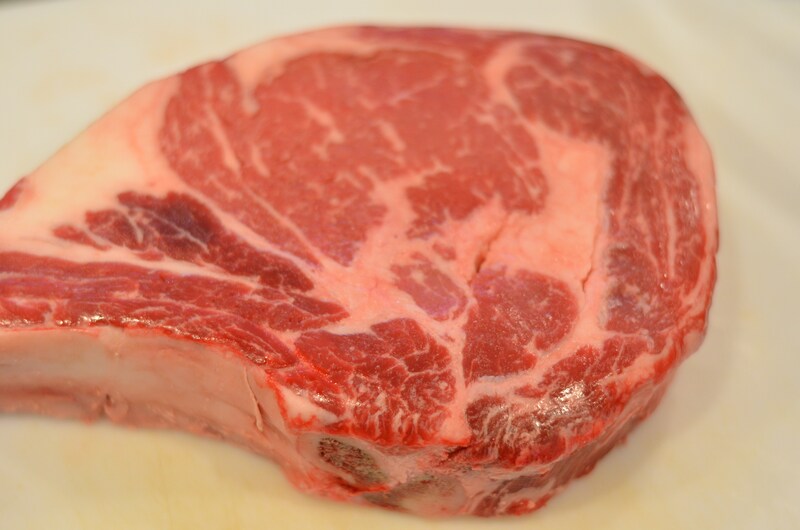 Rib-eye steak is ideal for this recipe, but other cuts of meat will work as well. 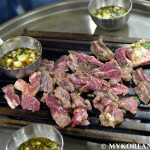 Once you get the meat sliced thinly, place in glass bowl and prepare the sauce ingredients. 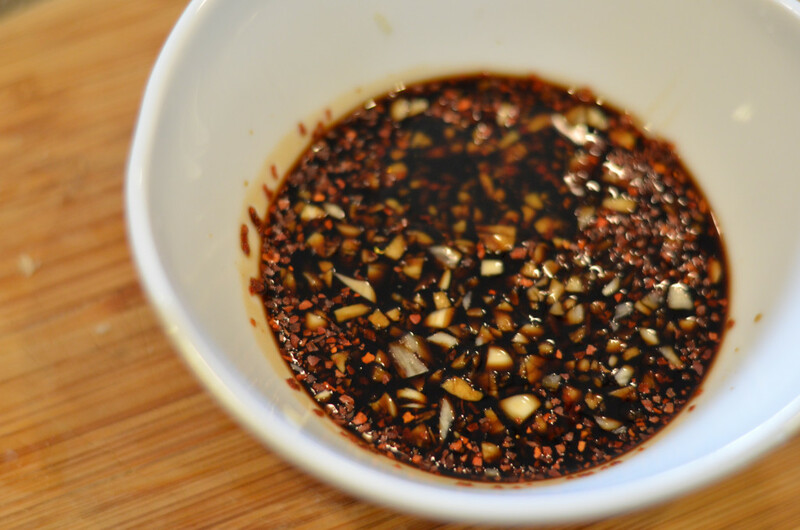 With the main combination of soy sauce, sugar, garlic, ginger, Mirin, and sesame oil, make sure to taste the sauce before mixing with the meat. 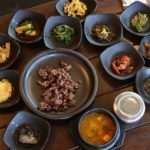 It should taste sweet, slightly salty, and savory. Adjust as necessary. 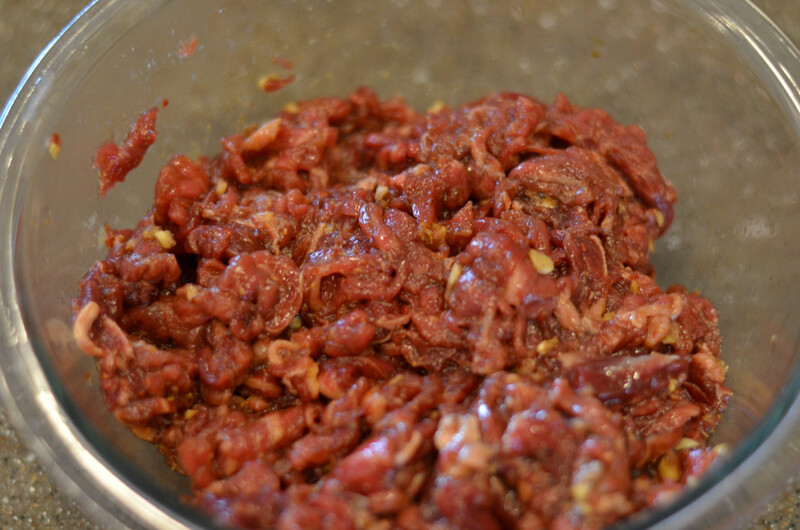 Give the meat and sauce a good rubdown, wrap airtight, and store in the refrigerator overnight. 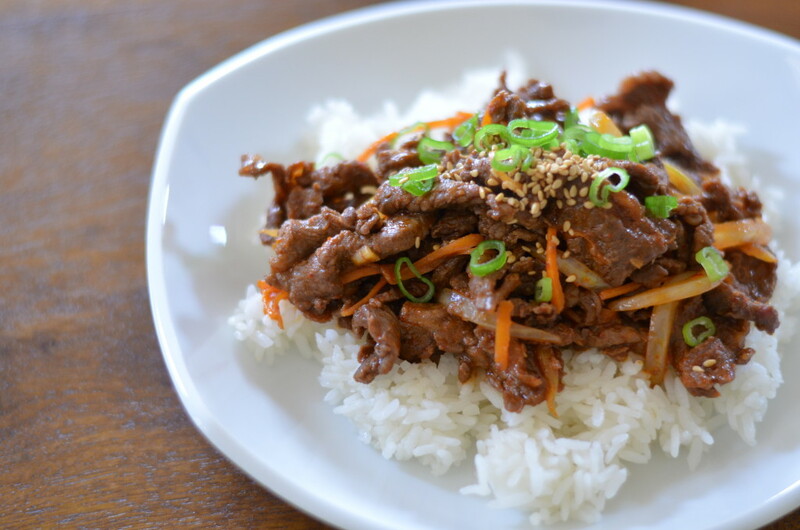 For extra kick, include some gochujang (red pepper paste) or gochugaru (red pepper flakes) as much as you like along with the vegetables. I used about 1 tbsp per serving, which resulted in a little perspiration and extra glasses of water to cool down the heat. 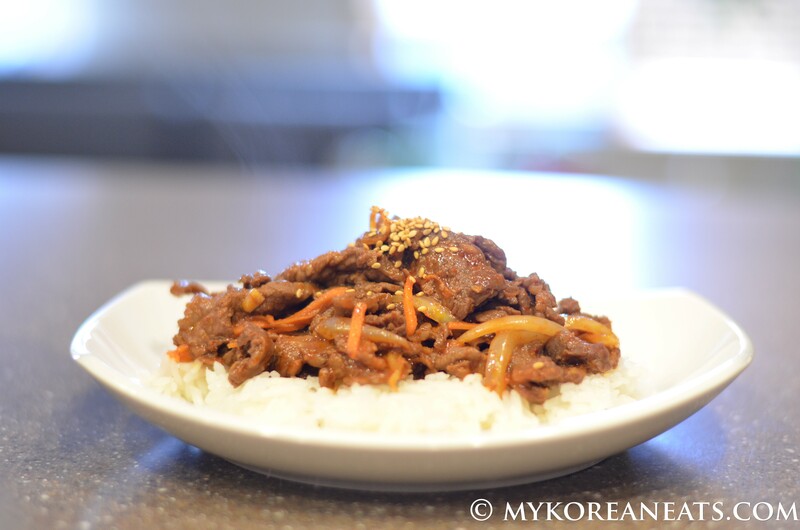 Spicy bulgogi all ready to eat! 1. 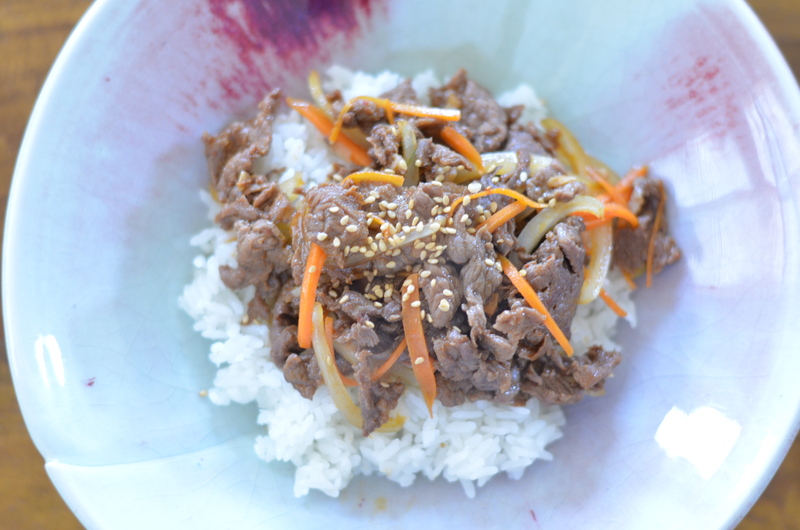 Cut the beef into paper-thin slices, set aside in glass bowl. 2. Mix all the sauce ingredients together minus the gochujang (red pepper paste). Add the sauce to the meat, coat well by hand. 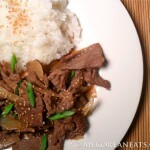 Marinate in the refrigerator for a minimum of a few hours, although overnight refrigeration is recommended. 3. 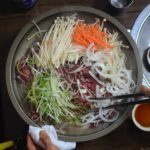 After marination, cook the meat on medium high heat using a non-stick skillet or frying pan (adding a little oil is optional). 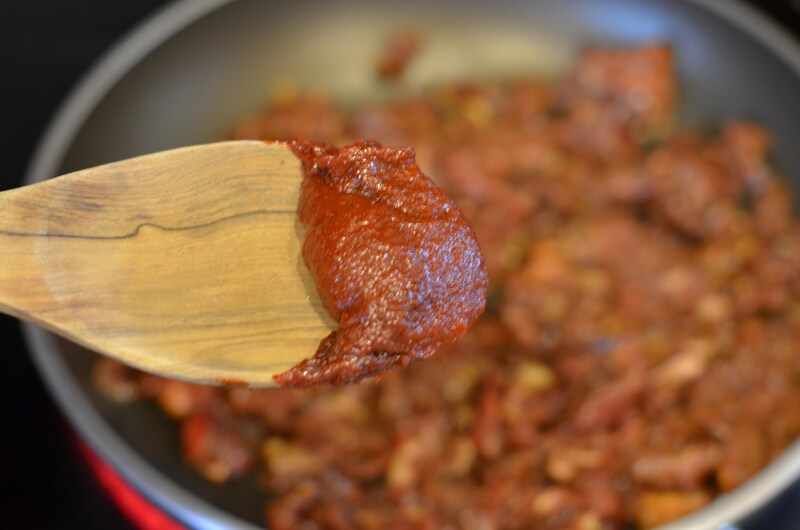 Add 1 tbsp of gochujang (more if you want it spicier) for each serving. 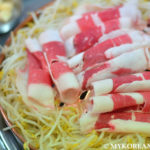 Cook until meat is well-browned but not burnt, about 5~7 minutes. Add vegetables during the halfway mark to retain their crispness. 4. 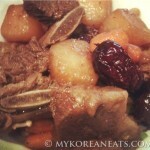 Serve hot with rice and banchan (side dishes) including lettuce varieties for wrapping. Red leaf lettuce, Boston bibbs, and romaine lettuce work best. 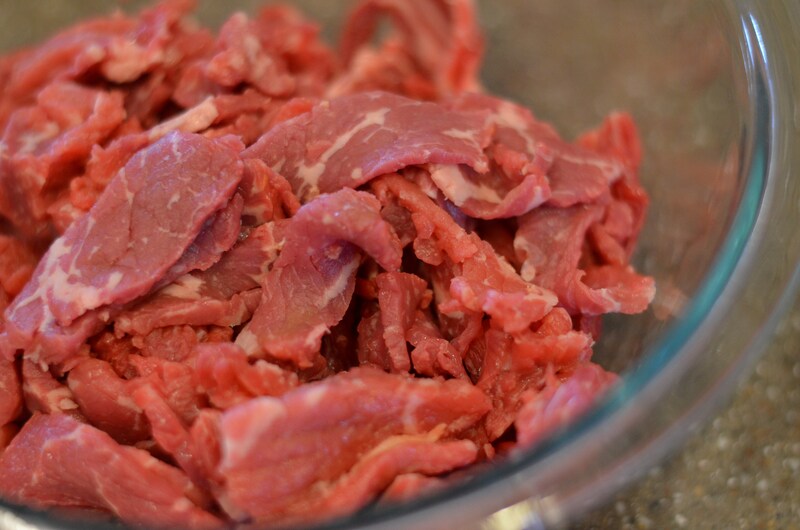 *For easier slicing, stick the beef in the freezer for about 20~25 minutes. This will make cutting much easier; we’re looking for paper-thin slices. **Although selecting premium cuts of meat is recommended for better taste and quality, my mom often uses cheaper cuts like chuck and blade which work just fine.